This week a consultant’s report basically stated that hydraulic fracturing in one of the country’s largest urban oilfields is not harmful. The study will arouse lots of comment by proponents and opponents of “fracking,” but both sides will find limited support for their arguments. The oilfield in question is the Inglewood field, which has been drilling and pumping in the Baldwin Hills, in Southern California, for 82 years as the cities of Los Angeles County engulfed the country around it on all sides. Now it’s flanked by the 10 and 405 freeways and overlooks Culver City, east of Santa Monica. It makes a good test case for the future, because oil and gas producers will not disappear as cities expand around them. Both parties will need to learn how to cooperate. The Baldwin Hills Community Standards District is a set of regulations recently created by Los Angeles County that governs operations in the Inglewood field. Part of a lawsuit settlement obliged the field’s current operator, Plains Exploration & Production Company or PXP, to carry out a study of its most advanced fracking technology. The final report from that study was released to the public yesterday and can be downloaded from inglewoodoilfield.com. Fracking is a set of oilfield techniques in which rock is gently shattered and grit washed into the resulting microcracks. The grit holds the cracks open allowing oil and gas to be pumped out. For the study, PXP tested two varieties of fracking on each of two vertical wells in the Inglewood field: “high-volume” and “high-rate gravel pack” techniques. Both are appropriate for the extremely fine grained shale rock that fracking is designed for. Naturally, everyone at PXP was on their best behavior for these tests, going by the book in every respect. 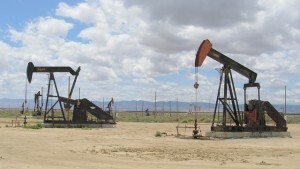 As a result, and to no one’s surprise, the wells were properly sealed, the petroleum-producing zone (7500 feet below the fresh groundwater of the Los Angeles basin) did not contaminate anything, no earthquakes were triggered, the ground did not shift by a millimeter, the noise and pollution were insignificant, and no public-health impact was detected. This is par for the course, and should have been expected. California is a mature petroleum producer, for once not part of the gold rush for shale oil that is stirring up controversy in the Northeast and Midwest. The problem in California is the combination of lax operations and lax oversight, leaving us at the mercy of notorious incidents and high rhetoric. The Inglewood field study does not exonerate the industry (whose response is “of course they should say it’s OK”), nor should it reduce the vigilance of fracking opponents (whose response to the study is “of course they would say it’s OK”). I did find it a bit odd that the peer reviewers of the study were both geologists who were educated in the East and practice in the East. But perhaps that was a smart step, because the eastern states are hotbeds of fracking and public anxiety too. The reviewers would not be strangers to that. And their “peer reviewer comment letter” mentions a long process of give-and-take in clarifying the study report that must have benefited from not being overly familiar with the Los Angeles oil patch. The Natural Resources Defense Council, which participated in the lawsuit that led to this study, issued a measured response on its blog. Food and Water Watch declared the study “an example of shill science at its worst.” Uprising Radio was undeterred in noting that the state has no regulations for fracking. This is true, and awkward, but state rules are in the works that should start to help turn mutual suspicion to watchful coexistence. Perhaps this study will inform those regulations. How exactly do you ‘gently’ shatter rock? 🙂 No intent here to heckle or argue, I was just struck funny by that descriptor. That’s the “hydraulic” part of hydraulic fracturing. The rock is cracked with a surge of pressure down the drillhole, rather than by using explosives. There’s nothing gentle about it. 6000 PSI is not gentle. More deception. Nammers, that’s the “hydraulic” part of hydraulic fracturing. The rock is cracked with a surge of pressure rather than explosives. Edmund is impressed with numbers with three zeroes, but to rocks at depth it feels quite gentle. >state rules are in the works that should start to help turn mutual suspicion to watchful coexistence. Optimistic but unrealistic commentary. Why do you think there are no state regulations? And why has no bill gotten out of committee regarding this issue in the legislature? MONEY! DOGGR, the regulators, are oilmen. It’s not a revolving door, it’s a carousel–from oil cos. to DOGGR and back every 2 years or so. year, 25% of the wells tested were leaking, and by the 8th year, 40% of the gas wells tested were leakers. That’s why groundwater contamination is so widespread. Air pollution, squandering of 2-8 milliongallons of scarce fresh water blasted down with 40,000 gallons of toxic chemicals per frack, and storage of vast quantities of toxic brew that comes back up along with radioactive substances and arsenic are other great concerns. Residents of the Baldwin Hills have already sustained increased rates of cancer and respiratory diseases, plus damage to their homes from the vibration of drilling. We didn’t need this candy-coated study–the environmental destruction people all over the country are dealing with is clear to anyone who takes time to learn about it. Fracking in this urban oil field, where 300,000 citizens reside within a 5-mile radius is totally insane. The oil co. has benefited from the ignorance of the public, who think their government protects them. Fracking must be banned. Edmund, you make several points of varying validity. Triggered earthquakes are not a concern in fracking and never have been. The Bloomberg item you mention is in error: the talk given at SSA blamed wastewater injection wells that stressed previously unmapped faults, not fracking. Even wastewater wells, in all their thousands, have caused no more than a handful of small quakes in the Midwest. California’s crust is not susceptible to these. I can’t speak to the Pennsylvania study you mention; it would be helpful if you can link to it. Meanwhile scientists are waiting for well-conducted studies to finish. Fracking will never be banned, but it will surely become more tightly regulated in response to systematic data and public suspicion. I’m OK with that. Edmund, I’m definitely no fan of fracking, but the proximity of the Newport Inglewood fault zone to the San Onofre Nuclear Generating Station worries me much more.